They often don't get the credit for it, but NBA General Managers and/or team Presidents are as responsible for a team's success - or failure - as anyone within the organization (just ask the New York Knicks about Phil Jackson). As such, finding a good one is crucial for a franchise. We saw several notable teams change up their front offices in hopes of finding that winning combination. The Los Angeles Clippers relieved Doc Rivers of his double duty as team president (he's still head coach) and hired Michael Winger to be the team's general manager - one of our most promising young NBA executives. Phil Jackson is also out with the New York Knicks, who promoted Steve Mills to team president, and the Orlando Magic brought in John Hammond from the Milwaukee Bucks. 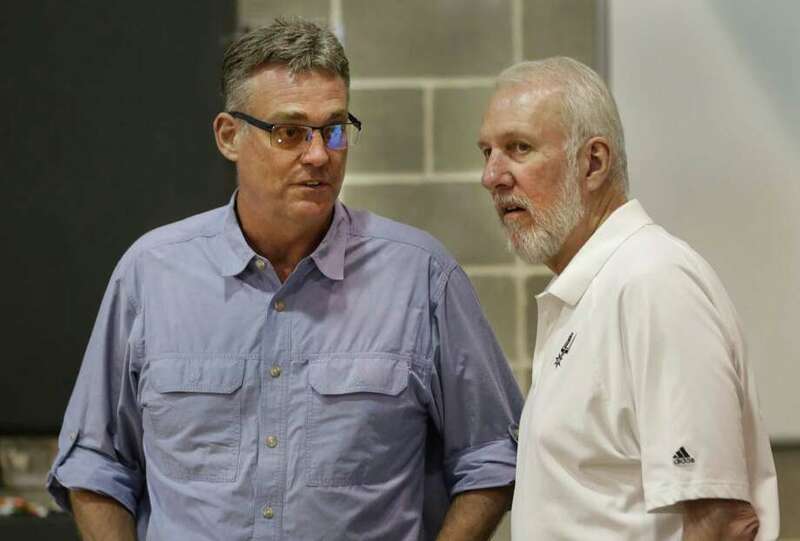 The Lakers and Cavs also have new general managers, but we will touch on them below. Why they're here: This duo took over in March and have been setting the Lakers up for a promising future ever since. They drafted incredibly well and cleared enough cap space to sign two max players in 2018 free agency. Magic obviously has pedigree from this playing career, while Pelinka was an agent for decades and represented many of the league's stars, most notably Kobe Bryant. 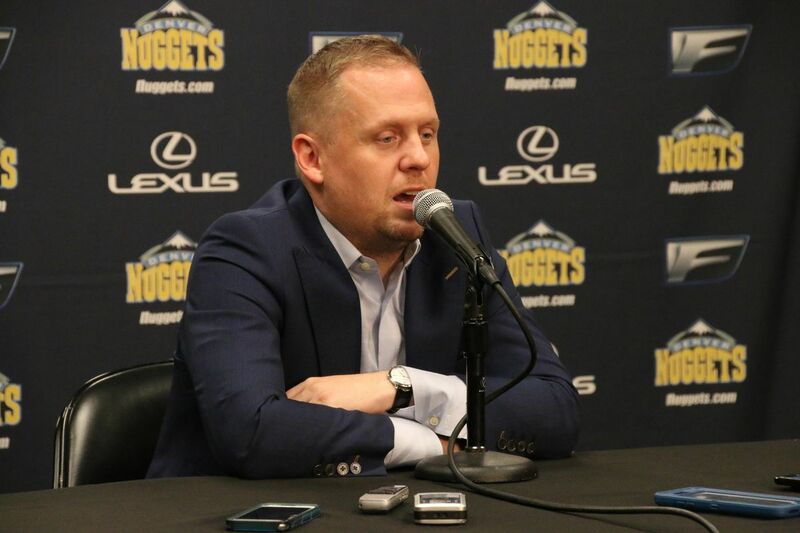 Why he's here: Lindsey joined the Nuggets as assistant GM in 2013 and has quickly risen to President, a role he was promoted to this offseason. During his tenure, Denver has rebuilt well and now has a promising roster of young players that expects to make the playoffs. Why he's here: Yes, the Jazz are in a bad spot after Hayward left the team in free agency, but the moves Lindsey has made has kept their roster sound. He re-signed Joe Ingles, traded for Ricky Rubio and has drafted quality young players like Rodney Hood and Donovan Mitchell. He also signed Ekpe Udoh, a versatile former first-round pick who was one of the best players in Europe last season. Led by Gobert and Rubio, Utah still expects to make the playoffs. 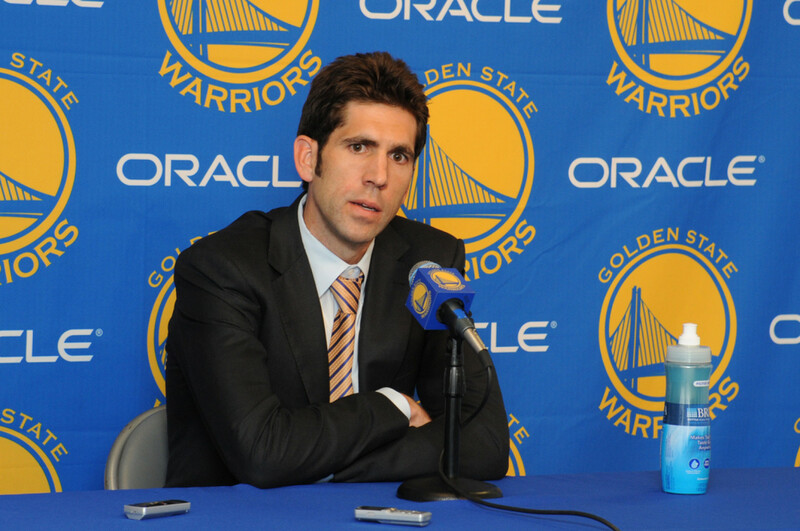 Why he's here: One of the youngest executives in the league, Altman has only been on the job a few weeks. However, he gets a spot on this list because of the incredible return he was able to get for Kyrie Irving. 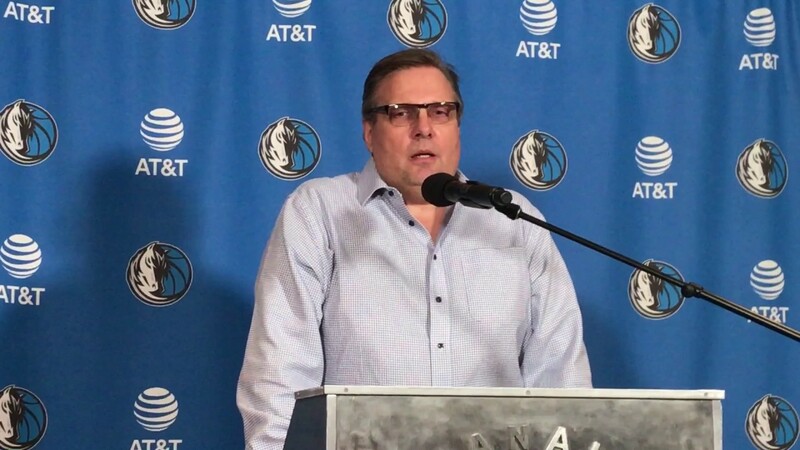 Why he's here: Nelson joined the Mavs front office in 1998 and immediately made his impact by convincing the team to draft Nowitzki. During his tenure, the Mavs have been one of the NBA's model franchises and won a championship in 2011. Why he's here: Ujiri is one of the brightest minds in the sport and is among the most well-respected front office men in the league. 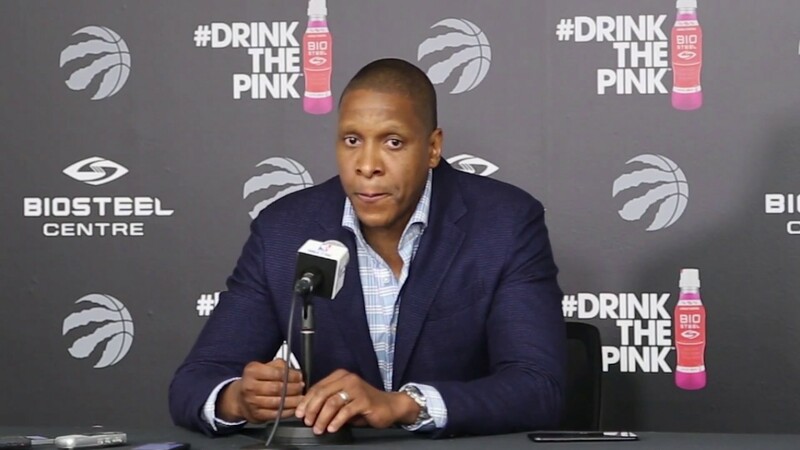 He won Executive of the Year with the Denver Nuggets prior to join the Raptors in 2013, where he has overseen the most successful seasons in franchise history. NBA Fans - Download Chat Sports on Android today for breaking NBA news, rumors, scores and more - Chat Sports Android App! 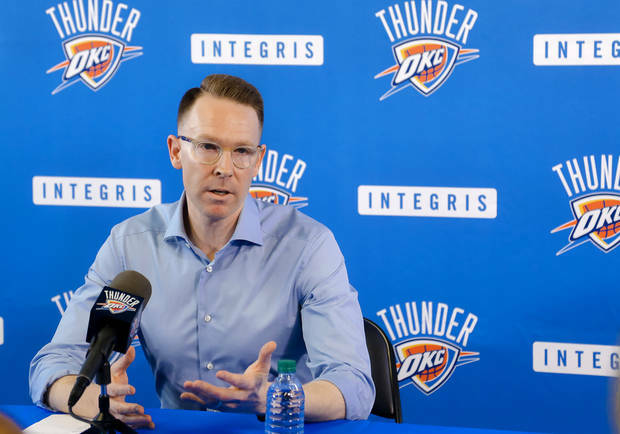 Why he's here: The reason why the Thunder have only missed the playoffs one time since 2009 can be directly related to Presti and the moves he has made. Along with drafting those trio of stars (two of whom have won the MVP, and the third (Harden) has been runner-up twice), he made the deal that brought Paul George to OKC. Why he's here: Riley is one of the most prominent figures in basketball history after incredibly successful coaching stints with the Lakers and Knicks, along with his three-year stint with the Heat while still serving as president. From Miami's front office, Riley has guided the Heat to the only three championships in franchise history and is known for being able to land top-tier free agents. He also has a very solid draft record, turning Miami into a franchise many others try to emulate. Why he's here: "Trader Danny" knows what he's doing. He has made so many great trades during his tenure, bringing a "Big 3" to Boston by acquiring Garnett and Allen, winning a championship, then conducting the most lopsided trade in league history with the Nets. Adding Kyrie Irving certainly doesn't hurt his resume, either. Why he's here: San Antonio has won four NBA titles since Buford took over as general manager and have won at least 50 games every year. That's an insane track record that makes the Spurs the standard for the rest of the league. Gregg Popovich deserves a lot of credit for that as well. Why he's here: The Warriors have won two NBA championships in the winningest three-year stretch a team has ever had in NBA history. The many moves he has made - signing Stephen Curry to two extensions, drafting Draymond Green and Klay Thompson, adding Kevin Durant and Andre Iguodala - have turned Golden State into a juggernaut. Why he's here: Houston has never had a losing record in the 10 seasons under Morey and acquired a superstar in one of the best/worst trades ever (depending on how you look at it) in the James Harden trade. Now, after landing Chris Paul this summer, the Rockets are a legitimate title contenders. 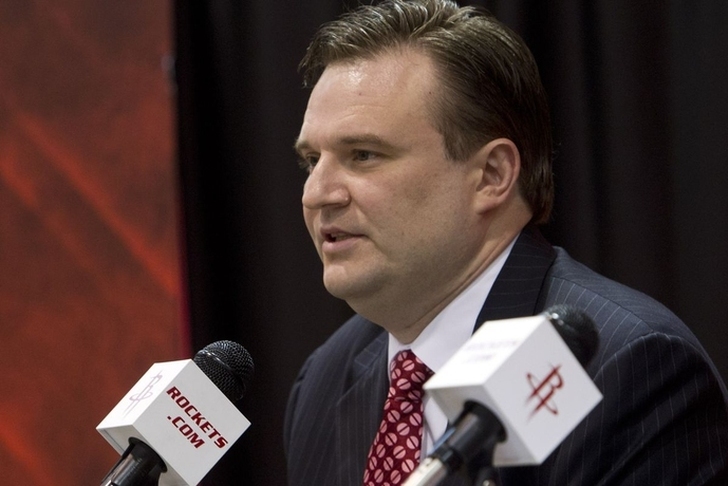 No one is able to land stars like Morey. These aren't the only quality GMs/Presidents in the NBA. Portland Trail Blazers president Neil Olshey and Memphis Grizzlies GM Chris Wallace narrowly missed the cut, while Hammond hasn't had time to make his mark on the Magic after a successful stint with the Bucks. Winger's reputation should have him on this list soon, but also hasn't had the opportunity to make impactful moves during his first few weeks on the job. Check out our NBA page for all the latest NBA rumors!